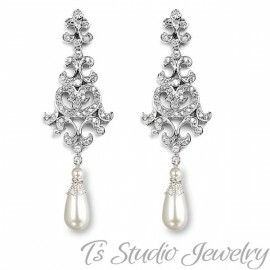 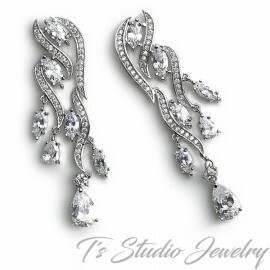 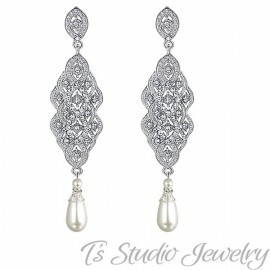 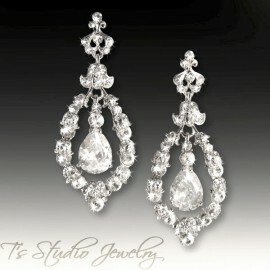 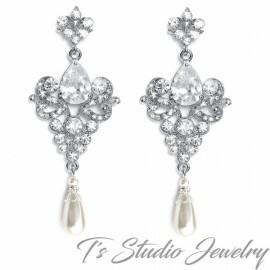 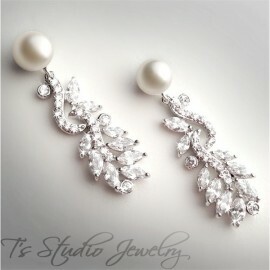 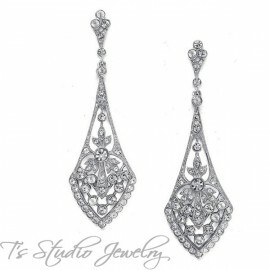 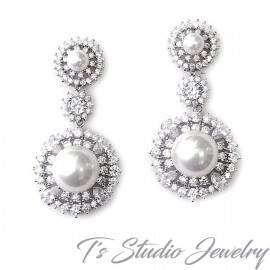 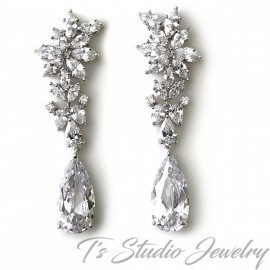 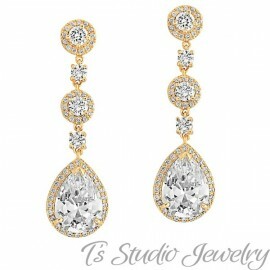 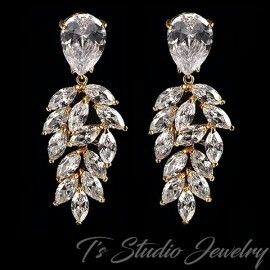 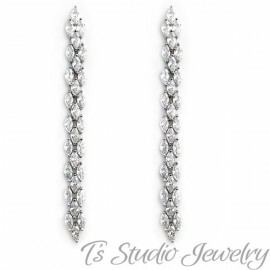 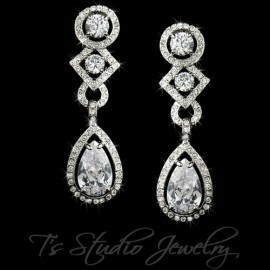 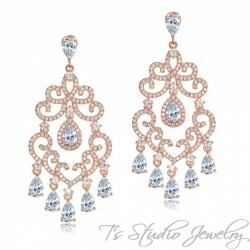 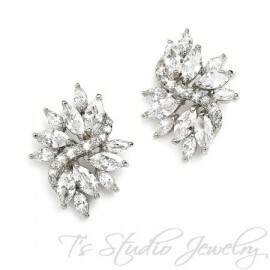 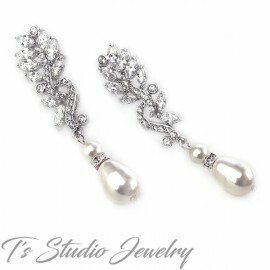 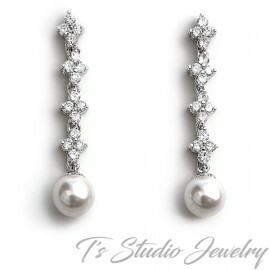 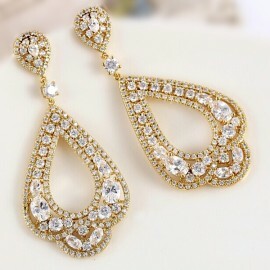 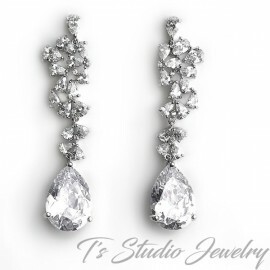 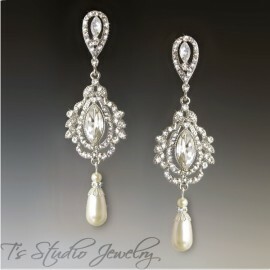 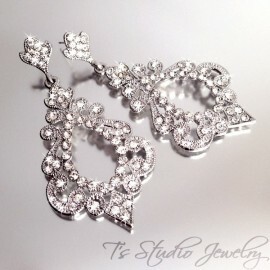 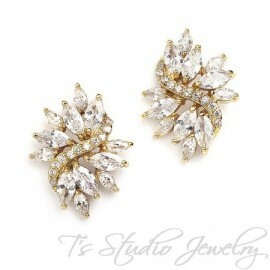 These elegant chandelier bridal earrings are the perfect accessory for any wedding gown or special occasion dress. Made with a rose gold base encrusted with pave cubic zirconia crystals, with five teardrop shaped bottom CZ crystal stones. 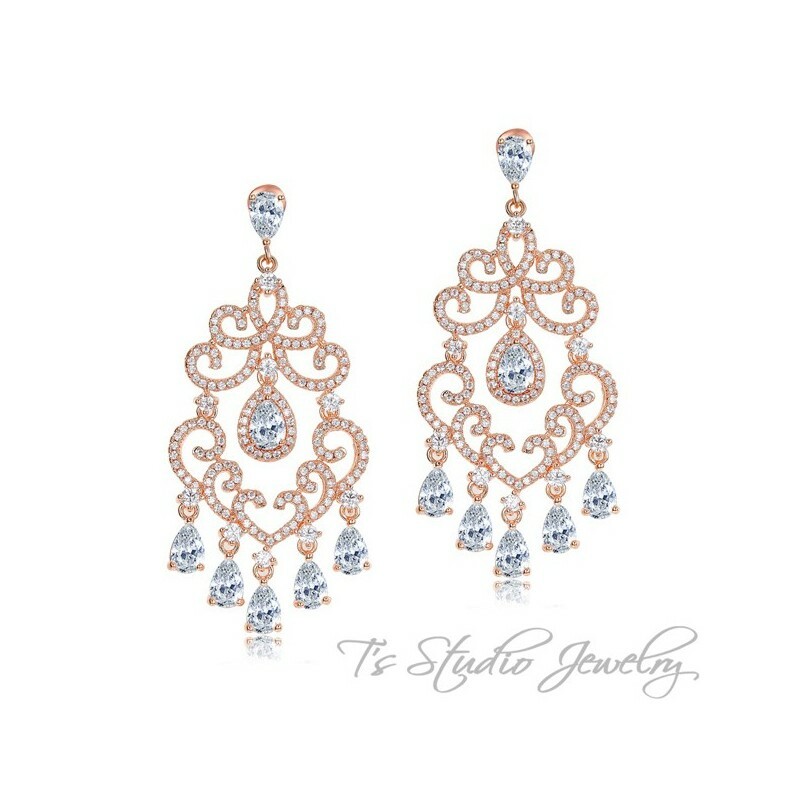 Available in Silver or Rose Gold.